There’s always going to be a darkness lingering on the edge of town, isn’t there? The future; the unknown – the stuff you can’t see yet, ominously waiting just out of view. 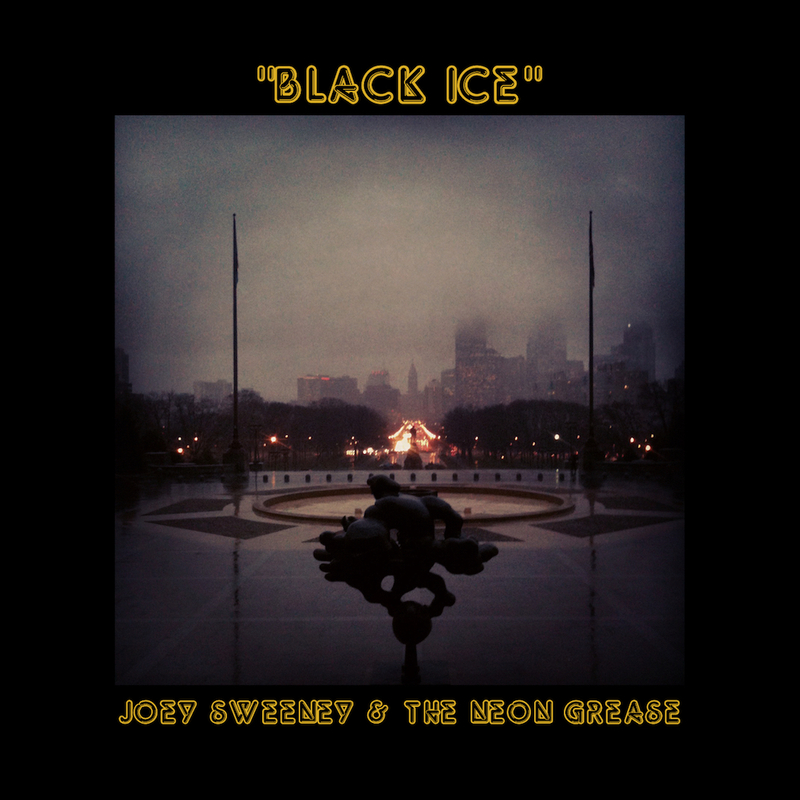 Joey Sweeney & The Neon Grease’s “Black Ice” is one part suburb, one part city, and an altogether warm, rock-fueled cautionary tale of a life lived. Atwood Magazine is proud to be premiering “Black Ice,” the sophomore single from Philadelphia-based Joey Sweeney & The Neon Grease and featuring Renée LoBue. Previously of the band The Trouble with Sweeney, Joey Sweeney has been writing songs since the 1980s, and it shows: His rock style is more Tom Petty than it is The Killers or Goo Goo Dolls. His seasoned storytelling comes through vividly in his latest offering: His colorful lyrics grow with the song, winding us through a field of troubles, anxieties and nerves until we come out the other side, unscathed but wary. Written a decade ago, “Black Ice” still feels as relevant today as it would have felt back then. Instability is a basic phenomenon: Change, pressure, doubt – humans will always relate to these base concepts. “Black Ice” is thick with the idea of tomorrow’s haunts; that black ice is a theme which will always make sense. “Black Ice” becomes so much more than one individual’s gripes with regret, insecurity, uncertainty, etc. Dressed in full garments by a band that knows how to do it justice, the song becomes a message of Perseverance, Safety, and Strength. Joey Sweeney & The Neon Grease may be a fresh face, but they’ve got staying power with potent, passionate music.